It has occurred to me that there is a close affinity between the early Marx essays and medieval Catholicism. The notion of “profit” (now called “greed”) was anathema during the Middle Ages, and considered a cause of decadence (See Mark La Rochelle’s note on the “just price” in the comments section.) Plus, those of my ex-friends on the Left who are professional scholars have found jobs at Catholic universities and colleges. It may be counter-intuitive, but such Catholic movements as liberation theology, and the Dorothy Day Catholic Workers movement (https://en.wikipedia.org/wiki/Dorothy_Day) are more evidence that segments of the Church would have to mirror leftist rejection of Israel, siding with irredentist Palestinians; moreover Pope Francis has lined up with the left-leaning Green movement. On the face of it, there could be no affinity between Catholicism and Marxism, for weren’t Catholics such as Cardinal Mindszenty (1892-1975) a major figure in the resistance to Communism before and after World War II? 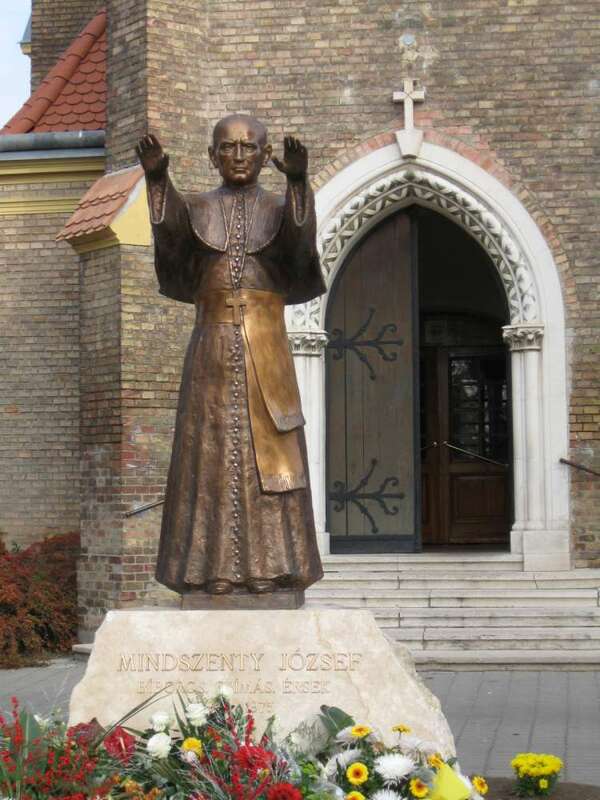 (https://en.wikipedia.org/wiki/J%C3%B3zsef_Mindszenty). And are not Catholics and evangelical Protestants, notwithstanding their doctrinal differences, on the same side in the culture wars, with both sides devoted to family life, and taking up arms against [jewified] modernity? Was not the chief item in the controversial Moynihan report on the alarming increase in black welfare assistance and illegitimacy, the reconstitution of the father-led nuclear family? (https://clarespark.com/2015/08/08/the-moynihan-report-march-1965-and-instability-in-the-black-family/). Because of our hegemonic racialism, Marx is thought of as a Jewish materialist, though his Jewish father converted to Protestantism for social advancement in 1819. (http://usreligion.blogspot.com/2013/11/karl-marx-as-radical-protestant-infidel.html), and Marx (and his Leninist descendants) continue to rail against religion as the opiate of the masses, an element of feudal socialism (http://encyclopedia2.thefreedictionary.com/Feudal+Socialism). I have written about the “moderation” of ex-Marxists and ex-New Leftists before, especially in blogs about nostalgia for the Middle Ages, and especially an apparent desire for the return of the Good King, who stands with the People against the social chaos wrought by revolting factions (e.g., feminists!). The same reconstructed historians, political scientists, and journalists, may promiscuously use the term “totalitarianism” to equate communism with fascism (https://clarespark.com/2013/02/02/totalitarianism-polarization-and-single-issue-politics).